DE Running Mom: Thankful and MIZUNO GIVEAWAY!! Worked Tuesday and Wednesday midnight shift...Tuesday I warmed up riding the Expresso bike and did 6 miles of hills before heading into Amy's spin class! Wow this was a great class with lots of miles and speed.. 28 miles total in 60 mins. On Wednesday I ran 9 miles in 68 mins and did a lot of hills and decline ( after Richmond I made a promise with my quads to do more hills ). Since I knew I was not going to sleep much on Thanksgiving I decided to take a rest day and enjoy my amazing family!! We always go to my cousins house and there are about 30 of us there so it is a lot of fun and laughter as well as a feast! We also shared the day with Nana and my hubby's side of the family which is also such a great time with fabulous family. Then Nicole and I were crazy as always and went out Black Friday shopping at Midnight! This definitely worked off the feast from earlier in the day. After shopping I gathered up all my boys and we headed for the beach to spend time with my hubby's other side of the family! Since I was feeling a little stir crazy from shopping and being in the car I laced up my Mizuno's and went out for a run. 7 gorgeous miles in 50 mins at the beach = PERFECTION! Listening to them chat is priceless! 1. Click on the above link and go checkout what this is all about then in the comments leave a comment on what pair of Mizunos you would pick and what are your current running shoes. 4. Share this giveaway and www.derunningmom.com on Facebook. Contest will end on Friday, 11/30 and winners will be chosen by Random.org. You will have a total of 4 entries!! Thanks for the giveaway!! I would pick the Mizuno Wave Creation 13. I currently wear Brooks Ghost 5. Want to try the Wave Riders! I wear Brooks Ghost 5. I would pick the Wave Elixirs, they are a lightweight shoe for overpronators like myself. I am currently running in the Wave Inspire, a nice shoe for long distance runs. Thanks for the opportunity to score some new Mizunos!! I follow Mizuno Running on Twitter. Hi, thank you for the chance. 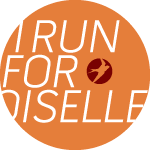 I would choose the Wave Inspire 8, and I currently run in Asics Gel Evolution. I have the wave rider 15s but I would love to try the 16s!! I follow Mizuno Running on both Twitter and Facebook! I would want the Wave Rider 16s (I have two pairs of the 15s but they're almost shot). Absolutely love Mizuno after several years in Brooks! Thank you for the 2 entries! 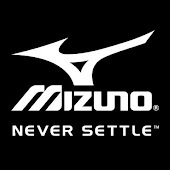 I live for Mizuno!! Their Wave Riders are my favourites for long runs, Wave Enigmas are my favourite for speed work. I'm following Mizuno on Twitter. I run in the wave inspire 8s but I'd love a pair of the new wave inspire 9s! Also, I follow Mizuno on Twitter! I would love the mizuno wave inspire 9 wide shoe!! I have a wide foot and it is hard to fit! I am currently running in Brooks Adrenalines. I left my devoted new balance recently and am looking to try out some other brands. I would go with the Wave Riders. I am currently in the Brooks Adrenaline and it is too much shoe for me. I would definitely go with the wave riders, my go-to shoe! Right now I just have an old regular pair of Nike sneakers and the Mizuno Women's Wave Enigma 2 Running Shoes looks lovely to try! Thank you! Following Mizuno on Twitter too! I'd pick the Mizuno Wave Inspire 9s for me! Right now I'm running in Asics GT 2000s. I follow @derunningmom on Twitter! I follow @Mizunorunning on Twitter! I want my Mizunos back!! When I first started running I fell in love with the Mizuno Inspires. A few years later in a moment of weakness to a persuasive sales person and a discounted price, I bought New Balance shoes. They're good, I've had no problems...but my heart belongs to Mizuno. I can't wait for these ones to wear out so I can get back to my Inspires! I follow Mizuno on Twitter! I also follow @derunningmom on Twitter! I run in Mizuno Wave Rider 15's. I LOVE them, so I would stick with the Wave Rider but the 16 model to try out! 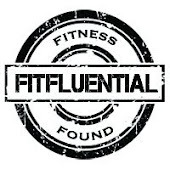 I now follow you on Twitter @derunningmom ! I also follow @MizunoRunning on Twitter! I wear Mizuno Wave Inspires. New to mizuno world, I am obsessed! I would love to try the Wave Riders. I would choose the Mizuno Wave Riders. I currently just wear regular Nikes, but I would love to start wearing actual running shoes. Thanks for the giveaway. I would pick the Mizuno Wave Universe 4!! I follow you and mizuno on twitter. I like the Mizuno Men's Wave Inspire 9. I am currently enjoying brilliant runs in my Mizuno Wave Rider 15 and cannot wait to try the Wave Rider 16! I currently run in Wave Rider 15s....so I'd either grab another one of those....or check out the Rider 16s or Elixirs! Love Mizuno! I currently run with New Balance Baddeley and they are ok but the last time I was running in these shoes I had to save a cat from a burning building and these shoes did not give me the tracion or stability I needed to get out of the building fast enough. I also got 2nd degree burns but more importantly I saved a litter of kittens and thank goodness too because these kittens are now training to be ninja cats and to fight crime. I would love a pair of WAVE INSPIRE 9's because in my crazy life I need a pair of shoes that can keep up me and all of my crazy adventures. You are so crazy!!! But I totally believe your story and Mizuno's are the answer to your problem! I'd pick the Wave Rider 16, thanks to the Precision Fit shoe finder. I'm currently wearing New Balance's that are over a year old! I follow MizunoRunning on twitter (@channynn). No doubt about it... the Mizuno Wave Inspire. Absolutely best shoe and have worn it at Ironman, Boston Marathon, and bunch of other stuff. Mizuno's for life! Wave rider's please. Now I finally walk on water. I already have 128 miles on the Wave Rider 16s. I love them and would love another pair! I would be over the moon to try the wave, they might be my sole mates! I have tried many and never really committed. I would love to try a pair of Mizuno Waveriders! I use Asics currently.. I have the Wave Rider 16s which I LOVE! But I would also love to try the Wave Inspire 9s! Love my Mizuno's. just got the wave rider 16s. Love love love! I would like to try Nirvans. I wear Wave riders 15 right now. I wear Brooks Pure Flows, but I'd LOVE to try Mizuno Wave Inspire 8! I would go for the Wave Riders! I am definitely interested in the Wave Mushas to rotate in for some speedwork and races!! I am running in the Elixirs and love them! I would definitely choose the new WR 16 in Turquoise! I'd love to try the Mizuno Wave Rider 16, currently running in Asics Gel Neo33 but am due for a new pair of shoes, which I hope will be a better fit.